We have to admit that one of the most important function of architecture is for memory, especially war memory. This kind of architecture has unique beauty. Just like the author said, the charred buildings have hunting quality. This made me think back about YuanMing Palace. It was destroyed during the WWII time as well. After the fire, nothing remained of the magnificent buildings of the palace but only ruin. It has become a memory of invasion. Architecture is another form of art that let people remember history. It looks like a very pretty city from those pictures I couldn’t even imagine what it looks like actually being there. Thats crazy how you were standing right there where the where all of that was happening! I really enjoy your pictures of Germany! 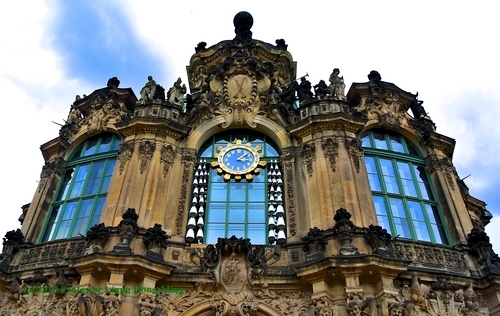 I had the opportunity to travel there, but was unable to see Dresden. It looks like a very beautiful city. The charring makes it unique. It tells a story about the history of Germany. The fact that it is still standing is wonderful! That was a very interesting comparison you gave with the Statue of Liberty. It seems to like all places around the world are beautiful, but when the history is unraveled about that beauty it becomes a whole other thing that is adored. Very beautiful pictures also. Reading this really made me think how different places are in actuality compared to how I think they’ll be when I visit. It’s interesting too to learn the background and history of a place before you visit it because it just makes that much more of an impact when you experience it for yourself. I love the comparison between the United States statue of liberty and the Dresden Altstadt architecture! History can be beautiful and haunting, but it is important to remember it. It’s always interesting to learn about a place, but then feel the emotion and history once you get the chance to visit it. I am hoping to some day visit Germany due to ancestry. 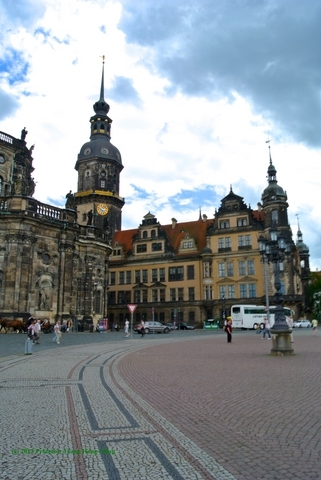 Dresden looks like an absolutely beautiful and historic city. I love that you compared the Dresden buildings to our own Statue of Liberty. It is important to make a connection like this that the reader would know about. I wish you would have said a little more about this comparison because I think it was an interesting point to make.